Today marked the 3rd year that My Father’s House began. We marvel at the blessings and favour of God. To Him be the glory for EVERYTHING. Thank all of you for your generous giving. We now take care of over 30 boys. Often we help others who are friends or relatives of the boys.Many from the community come to eat at MFH. How do you turn away from the hungry? 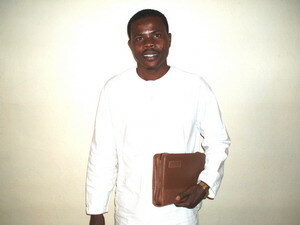 Austine Seeboe starts his first year with the students at Cuttington University. Peter, Jamel, Sumo, Jeremiah, & Momo are starting their 3rd year! Wow! Our GPA standard is 2.5. All are doing well. Patrick Goh just arrived from the Buduburam refugee camp. His mother Malvina and little sister Gifty are coming next week. 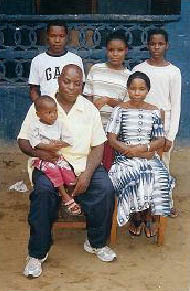 We will help them to resettle in Liberia. This is Patrick’s first time in Liberia. He was born in Ivory Coast. 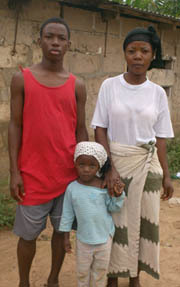 They fled during the 2004 war to seek asylum in Ghana. Patrick is happy to live with us at My Father’s House. I assured him, he will not go to bed hungry in our care! Patrick is 15, starting Gr. 9 He will need a sponsor. Aaron Paul has just registered to take the Discipleship Training School with YWAM and will commence early October. Provision of Hope has 8 HOPE HOMES that take in orphaned or needy children. 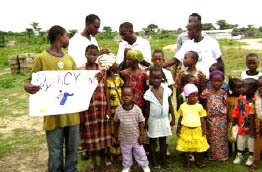 We assist these homes with food, medical help and school fees. 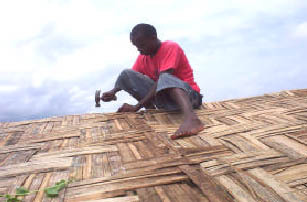 These are Christian homes that love and nurture each child. The more sponsors we get for children, the more Hope Homes we can assist. PLEASE SPONSOR A CHILD TODAY!